Everyone is fed up at this stage..it is old news now, just getting dragged on... look like there is no end to it at all. Declan Walsh, Busker a busker says, "Right now, they are panicking..everywhere. The politicians in Britain have let people down by not showing any leadership whatsoever, right. It is a mess and it is not surprising, right. I can't stand that Tory lot, really, I am not exactly a Labour man either, but the Tories, they are the worst. I won't use any rude words. "The whole thing is saddening for me as a Northern Irish student studying here in Dublin. I really have come to appreciate the cross border communications and I appreciate the importance of being from different nationalities within a country, finding your identity. And i think the whole issue has been so divisive and alienating." "Brexit has been a huge issue for Ireland going back even 4 years since before the referendum. Often I think we have spent more time discussing it here than in the UK. From the very moment, the idea of Brexit came about, it was always clear this would be a strategic nightmare for Ireland –small country, close relations with its big neighbour locked into a structure... the notion of Britain leaving that creates all sorts of strategic questions about its bilateral relations with Britain and its relations with other countries in the EU and its economy and for Northern Ireland." 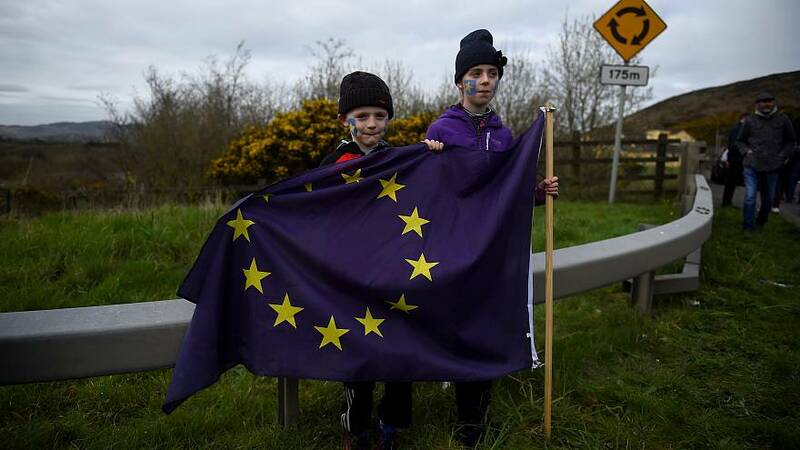 Philip Economides, Research assistant, at the Economic and Social Research Institute argues that Brexit, hard or soft would be bad news for Ireland and Irish households - according to fresh data he has gathered. He hopes for another referendum in the UK, but insists the EU should protects its interests. One outcome no Irish home wants is a no deal scenario. EU law Professor Tobias Lock, Maynooth University reminds me what that would mean. "We will have no rules in place for the EU/UK relationship which means trade would obviously be based on WTO rules..there would no judicial cooperation to speak of, there would be some but based on very very old treaties from the 1950s. Not the same type of cooperation we have had so far." Most feel a solution will be found, and cool heads will prevail, but since 1973 Ireland and UK have been joined at hip as EU members so this divorce is taking its toll.